Now, in a couple of clicks, GoSquared just works with every popular online service using the new GoSquared Zapier integration. Head over to the Zapier Services screen in your GoSquared account to get started. Getting different services to work together used to be something that was only possible for developers. Zapier massively simplifies the process using Zaps. Zaps are automations created using Triggers and Actions. A Zap doesn’t require any code and needs minimal input to configure. Just pair a Trigger from GoSquared with an Action from one of Zapier’s 500+ supported applications. 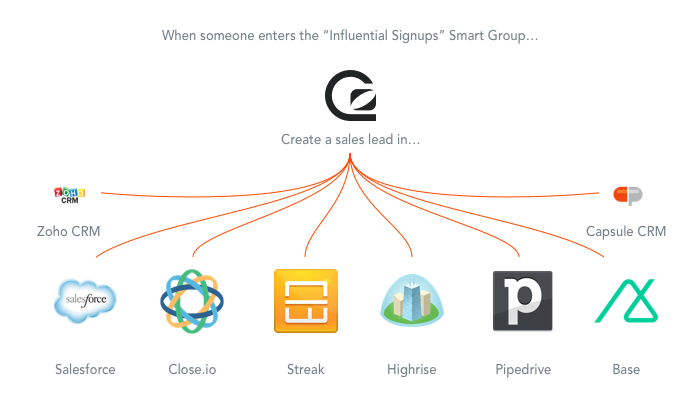 People CRM is a realtime database of every action your customers ever took. Having this information at your fingertips makes writing complex automation rules incredibly easy. Save any combination of filters you like as a Smart Group and use it to trigger Zaps. Simple. Your treasure trove of customer information suddenly became a lot more powerful. What were your customers doing on your site at the exact moment they asked for help? Tracking support events in-line with all your other customer’s actions suddenly makes this obvious. Have they already viewed the support doc you’re about to link them to? Which feature was frustrating them? What device/browser version were they using? Are the Emails you send Effective? 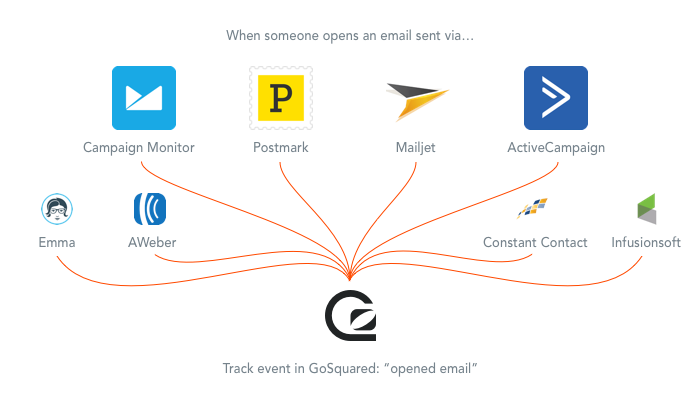 Put email events in context by bringing them inline with each users other online actions. What actions do people take after receiving an email? Perhaps somebody hasn’t logged into your site in a while but is still very engaged with your email content. 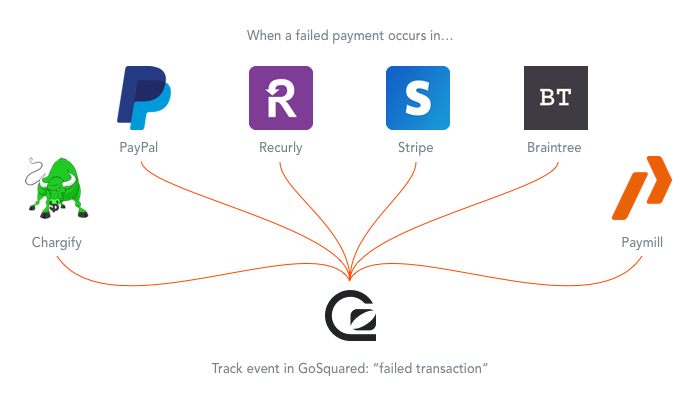 Have multiple payment providers? Track all your transactions in one place. Combine transaction events with other customer information to create targeted followup emails. What Triggers does GoSquared support? What Actions does GoSquared support? Events from 3rd party applications will become searchable in People CRM and show up ‘in-line’ in your customer’s profile view. 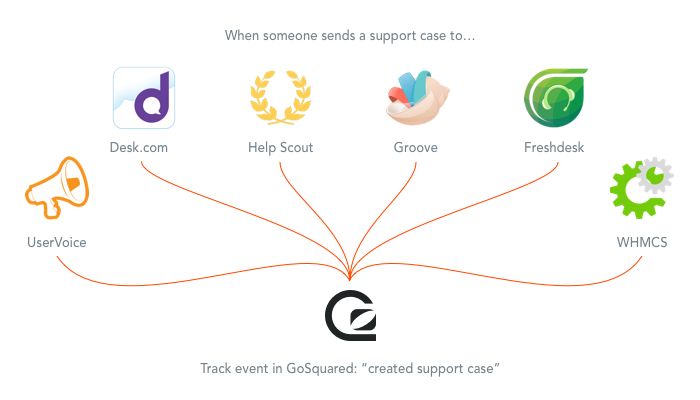 Automatically update custom properties to keep GoSquared profiles in sync with you other CRM tools. Get your ‘Site key’ from the Zapier Services page.